What a fun night for a basketball game! 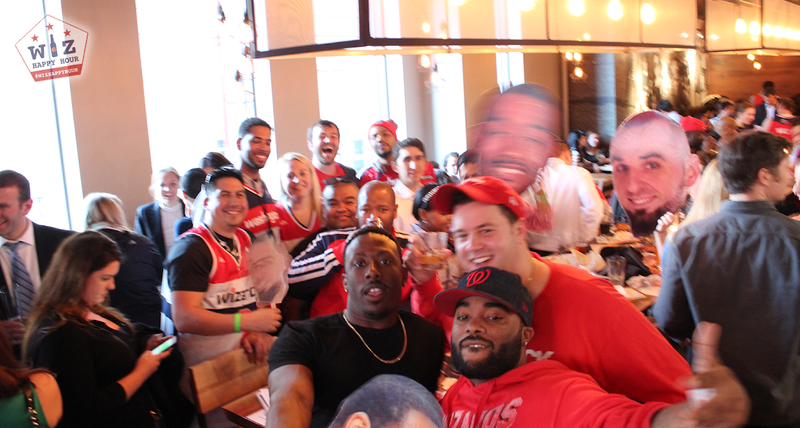 The Wiz Happy Hour crew showed up big at Penn Commons before game 3 to help bring the Wizards a big playoff home victory. 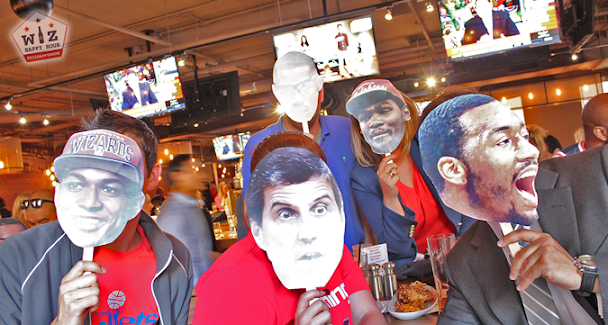 We had great beer, good Wizards talk and we even had a few Raptors fans crash the party (Photos). Penn Commons has hosted some of our most epic happy hours. The close proximity to the Verizon Center, the great people, and the awesome Wiz fam extended happy hours make this one of our goto locations. The playoff game 3 pregame was another notch in the PC fun belt. One of the best parts of the night was when about 10 Raptors fans crashed the party and walked through the crew. It was all in good fun as they high-fived everyone in a Wizards shirt as they headed out the door and into the arena. When all was said and done the Wizards took home the victory and some of the gang met back up at Penn Commons for some celebratory drinks. Hope you can join us for the next playoff game!